RPC is grateful for and acknowledges initial support from the KYEEMA Foundation, DAHLD, and from SSLLP in facilitating its establishment. RPC now works with a range of partners. Tropical Water Solutions, the latest addition to our list of major sponsors, is a company based in the Northern Territory, whose dedicated team has decades of experience with rural communities in tropical areas of Australia and elsewhere. The core work of TWS involves monitoring and ensuring the quality of water supplies. 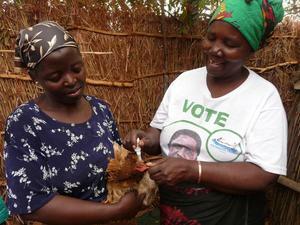 The company has a strong sense of support for and a firm understanding of our work here in Malawi. Over several years, they have provided significant and valuable support to our operations, for which RPC is extremely grateful. The KYEEMA Foundation is an NGO based in Brisbane, Australia which, together with its subsidiary entity the International Rural Poultry Centre, has been working in Southern Africa for the past 20 years in supporting poultry health and production in the smallholder sector. As an affiliate organisation, RPC has received extensive support from KYEEMA and owes much of its strength to the excellent collaboration between the two institutions. Palladium (previously GRM International) is a long established company with an office in Brisbane, Australia. With a strong involvement in international development, Palladium supports our affiliate organisation, the KYEEMA Foundation, and through it the RPC. In early 2014, RPC gained support from GRM through its "Communities 1st program". This was the first significant funding for the fledgling organisation and was very important in allowing us to make a start. The Department of Animal Health and Livestock Development within the Malawi Ministry of Agriculture, Irrigation and Water Development (MOAIWD), provides livestock services nationally. The Ministry has recently released its National Agriculture Policy 2016. RPC works in close collaboration with DAHLD and the various Districts and Agricultural Development Divisions in its work to assist in delivery of animal health and production services. DAHLD has a representative on the Board of Trustees of RPC. 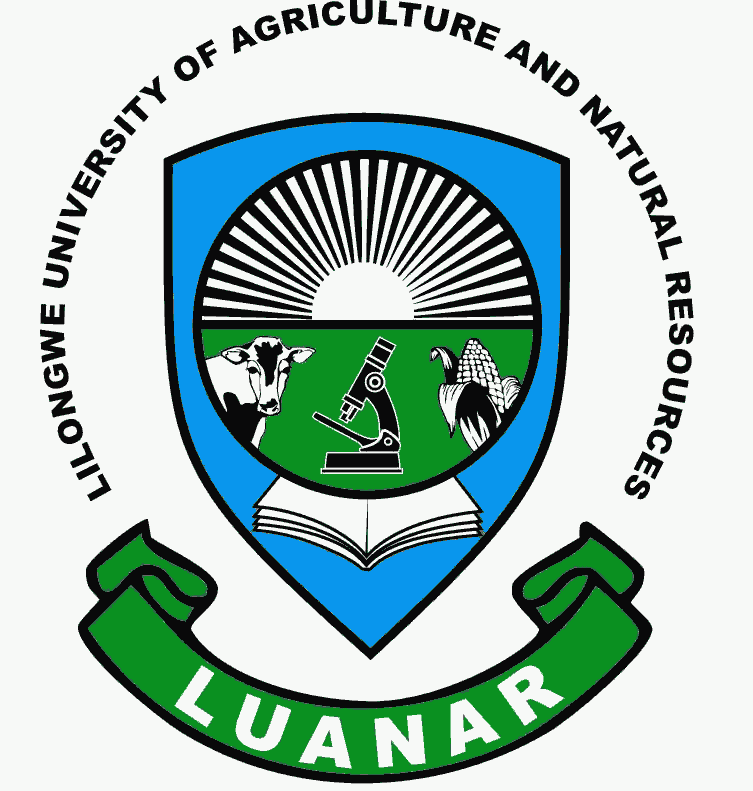 The Lilongwe University of Agriculture and Natural Resources (LUANAR) Bunda Campus provides significant technical and logistical support to the RPC, in particular through its close involvement in the Indigenous Chicken Improvement Program (InCIP). InCIP is a collaborative research project between Egerton University, Wageningen University, University of Malawi and other Stakeholders. The program is intended to benefit smallholders through improvement of productivity, promotion of utilisation, and promotion of partnerships in service delivery and agribusiness development. LUANAR also partners in the iLINOVA (Innovation for the Livestock Industry) project which improves the management of indigenous livestock through building capacity in the creation, update and use of innovative livestock technologies. Small Scale Livestock and Livelihoods Program (SSLLP) is a local non-government organisation that provides poor families with the means to combat their poverty in a sustainable and long-term manner. SSLLP has hosted and supported the establishment of RPC. 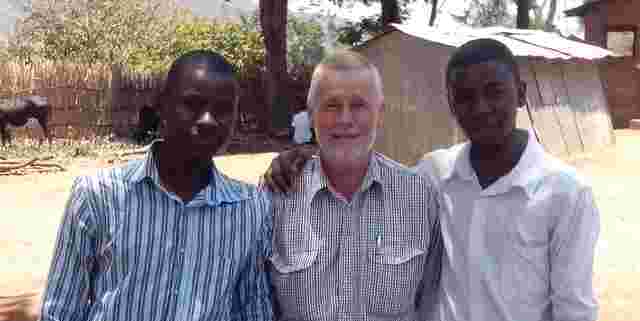 Inter-Aide is a French NGO which has been working in Malawi for many years. 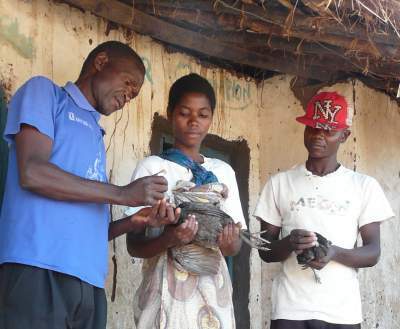 Amongst its programs is the single largest program in Malawi to establish and support vaccination of rural poultry against Newcastle disease using the I-2 vaccine. In this context, there is strong and effective collaboration between RPC and Inter-Aide in supporting each other's programs and in collaborating with government and other NGOs working in the rural poultry sector. Update: Inter-Aide has recently handed over responsibility for its work with village poultry to a local NGO, the Basic Services Development Agency (BASEDA). We have already started collaborating with BASEDA through joint training of community based vaccinators. We look forward to continued cooperation with Inter-Aide via BASEDA. The United States Peace Corps program has about 120 volunteers predominately in the rural areas throughout Malawi. RPC plays a significant role in familiarisation of new Peace Corps volunteers with the local rural poultry sector through talks at induction sessions. RPC also works with individual volunteers on small scale development initiatives. Friends of Malawi (FOM) is a nonprofit organization founded in 1987 by Returned Peace Corps Volunteers who had served in Malawi. RPC has worked together with FOM and LUANAR in the implementation of a pilot scale project in Mchinji.